Spring snow can be very, very variable and thus very frustrating. Here are some tips from someone who loves spring skiing and has been around long enough to know. Check the weather report and PLAN your ski days. The goal is to find soft snow, but not too soft. 1. If it’s going to snow at night plan on getting out early the next day. Some of our best powder is late March and into April. I remember 9 feet in three days one year! 2. If the temperatures are below freezing at night but will be in the 40’s+ the next day go out to breakfast and plan on hitting the mountain at 10am. Start at the bottom and work your way up. Some days you will keep going up and finding nice soft snow. Other days you will cross the line where the soft snow ends and the crust stays all day. 3. If the temperatures are near freezing or above at night then utilize plan #2 but start at 8:30am. Plan on running into slush that is too soft all the way to the top by about 2pm. 4. If the temperature is warm to begin with but will be dropping during the day due to a storm coming in, start low, work your way up high and then back down. The lower part of the mountain may be primo right up to closing time. If the storm looks like a good one don’t party too much, get to bed early and follow plan #1. Then say Halleluiah all the way up the chair the next morning. Some get frustrated with spring snow, some learn to go with the flow. 1. WEAR SUNSCREEN! Then you can smile when you see the lobster faces and raccoon eyes in town at night. It’s no fun to be in pain your whole vacation. 2. Wear layers. You will usually be cold in the morning, hot in the afternoon. An outer wind proof shell and several layers under is the best way to go. The wind at 13,000 feet can be piercing even on a warm sunny day. Take off the inner layers for versatility. A small backpack is usually a great way to carry the layers as you strip. You can add them back if the temperature drops again. Spring, especially April is the best time to be here in my opinion. 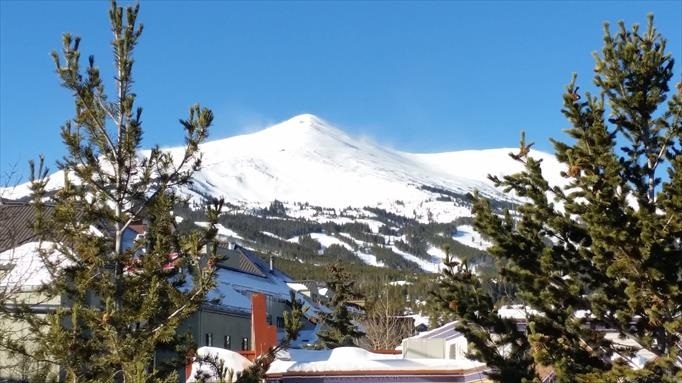 The snow coverage is maximum, the crowds are gone, the sun is warm, the restaurants run specials and you will have no trouble getting a table. See you soon!